Research has established that children learn through play; by doing, by interacting with others and by asking questions. 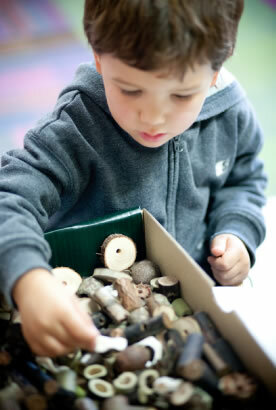 The tactile experience children have handling natural materials makes learning fun and exciting. The broad spectrum of materials provided by Natural Learning is appropriate for all ages and developmental stages of children in any early educational environment. Incorporating Natural Learning early education resources into your curriculum will provide aesthetically pleasing, tactile objects from the natural world, and give your children a uniquely New Zealand hands-on experience. Materials are collected seasonally so, in some cases, availability may depend on Mother Nature. Alternative natural materials may therefore be occasionally substituted for those described on this site. Every care has been taken in the preparation of Natural Learning products before dispatch. We welcome your comments and suggestions to help us continue to improve our products and our service to you. I hope you and your children enjoy the Natural Learning range of natural educational resources.